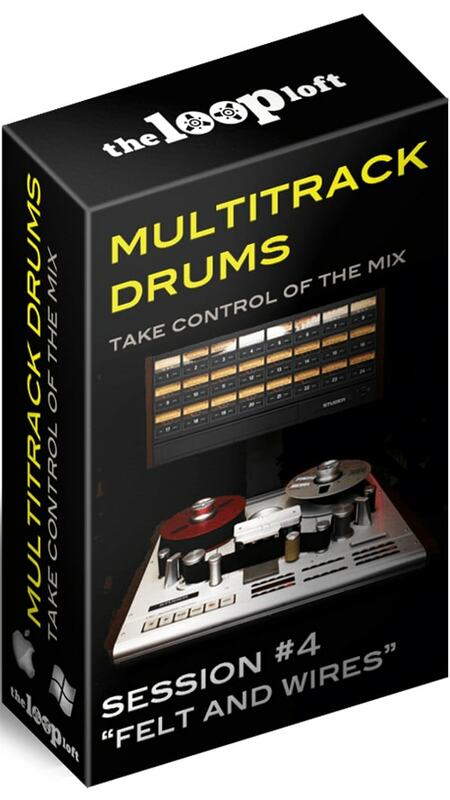 ABOUT MULTITRACK SESSIONS - LIVE DRUM TRACKS THAT PUT YOU IN CONTROL OF THE MIX! Sometimes loops just aren't enough. Do you ever wish you could ride the faders and control the individual elements of a live drum track? Well, now you can.... and for only $15! With our new series of multitrack drums, we provide you with over 9 separate tracks of drums and percussion, giving you full control over the level, EQ, compression and effects for each instrument. On top of that, we organize the sessions by song structure, breaking up different components of the song into different folders (intro, verse, chorus etc) and with each section of the song, we provide a multitude of groove and fill variations. Just listen to the preview clip, drag and drop the multitrack files into your session and start arranging and mixing. It's that easy. And since the tracks are WAV files, they're compatible with every major DAW including Logic, Ableton, GarageBand, Cubase, Pro Tools and many others.